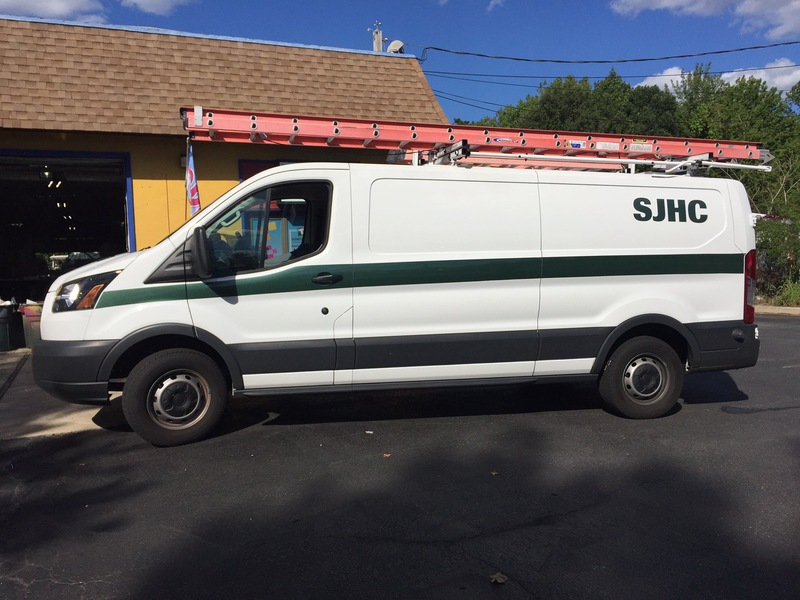 Our client, South Jersey Heating and Cooling, requires a clean, corporate, fleet appearance for their government service vehicles that perform HVAC repairs at The William Hughes FAA Technical Center and other government properties in Atlantic, Ocean and Monmouth counties. 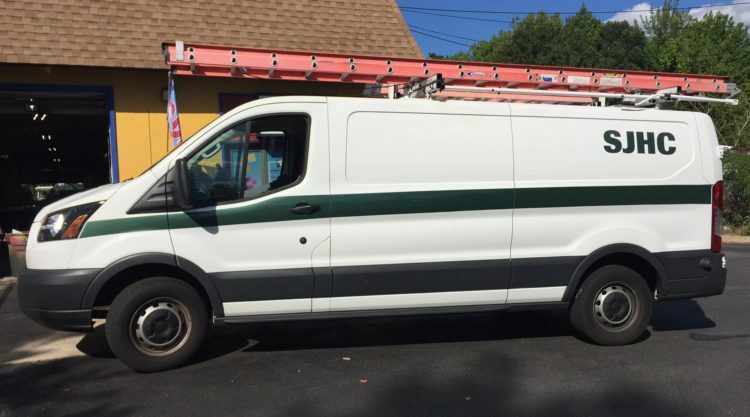 Utilizing the knifeless tape system and 3M Wrap Film Series 1080 vehicle wrap restyling films, we were able to match the stripe to the body contours on this Ford Transit perfectly. We added cut out, color matching vinyl lettering to complete the fleet appearance project.